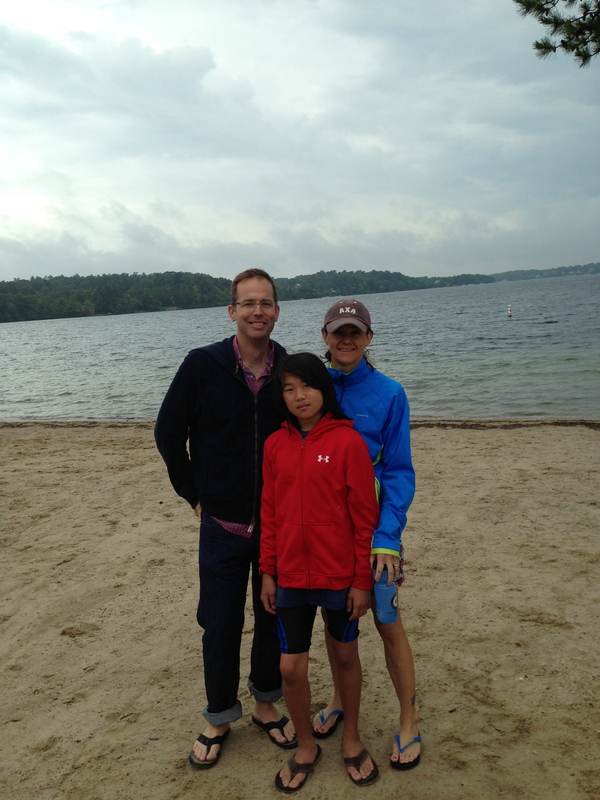 Mashpee Super Swim 2013 – It’s a Family Affair! 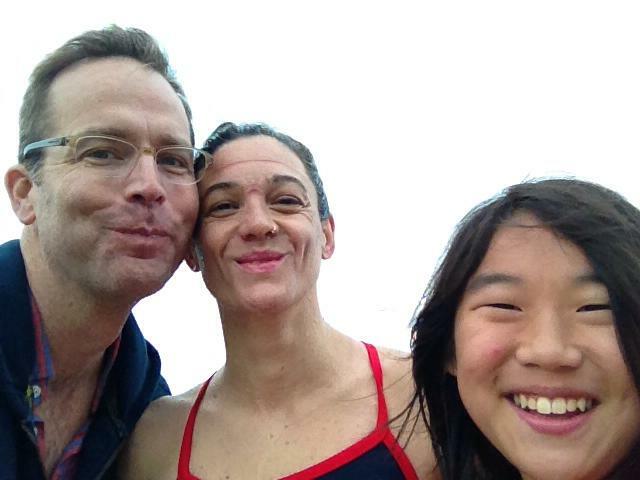 This entry was posted on July 4, 2013, in Open Water and tagged Family swimming, John's Pond, Mashpee Cape Cod Superswim. Bookmark the permalink. 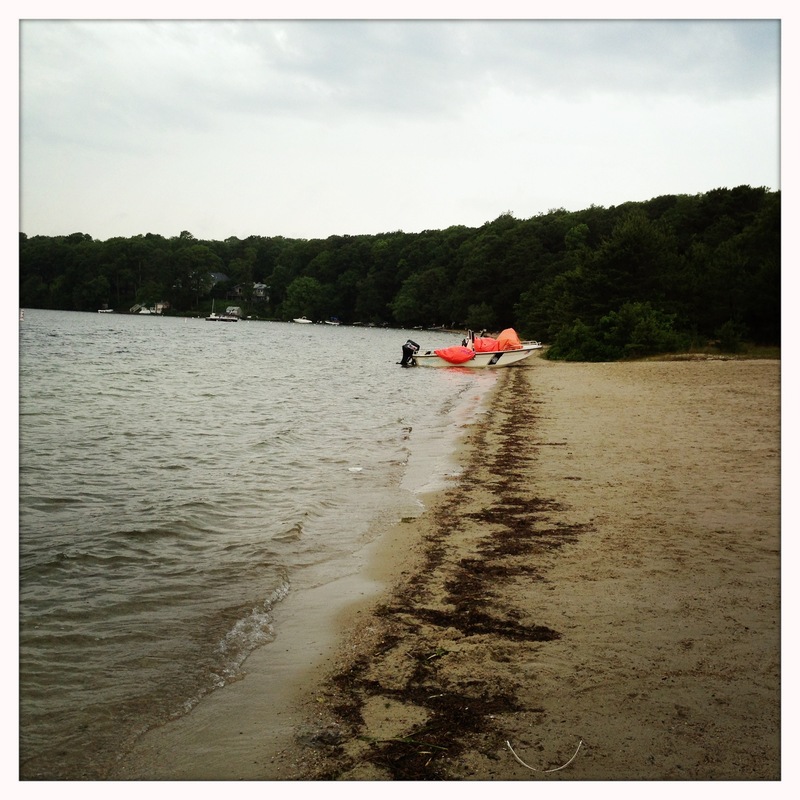 Last weekend, my husband, son and I all went to Mashpee, Massachusetts for the Mashpee Cape Cod Super swim. I’ve done the event several times but this was the first time for my husband and son. I’m learning something about myself as my son enters the open water world. 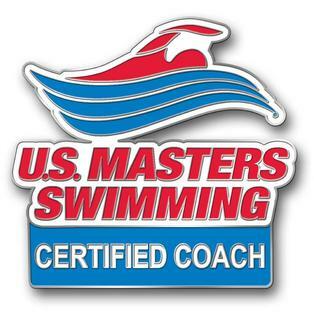 I love competing, and love swimming, but when I’m doing a race that is longer than that of my child, I really miss out on the opportunity to see him swim, to watch him exit the water powerfully and proud, and to share that experience with him in a different way. Is there any way to can do both?!? Last week, the day was dismal when we woke up. Thunder, lightning, and pouring, pouring, pouring rain. It wasn’t exactly perfect beach weather. We decided to proceed anyway and headed to the pond where my son was, ahem, more than a little nervous. First open water race ever? Post-tropical storm. Second open water race ever? Mid-storm. I did my best to get him psyched up! He did his best to ignore me. By the time of the race start, the weather had cleared enough that we weren’t concerned for our safety. Before we knew it, the race was over, and my son was awesome! 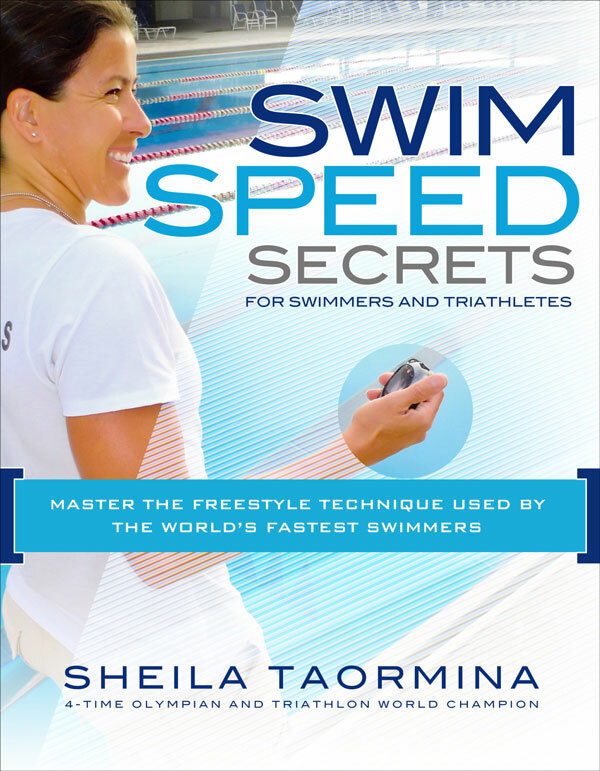 For the 1/2 mile, there are no times kept, no awards, and it’s simply about embracing the open water, giving it a try if you haven’t before, and enjoying yourself. My guys excelled at all of it. I am posting the photo of all of us post-race despite the fact that my husband and I are not looking our best here. Look at that smile on my son’s face! I felt pretty smiley afterward too. 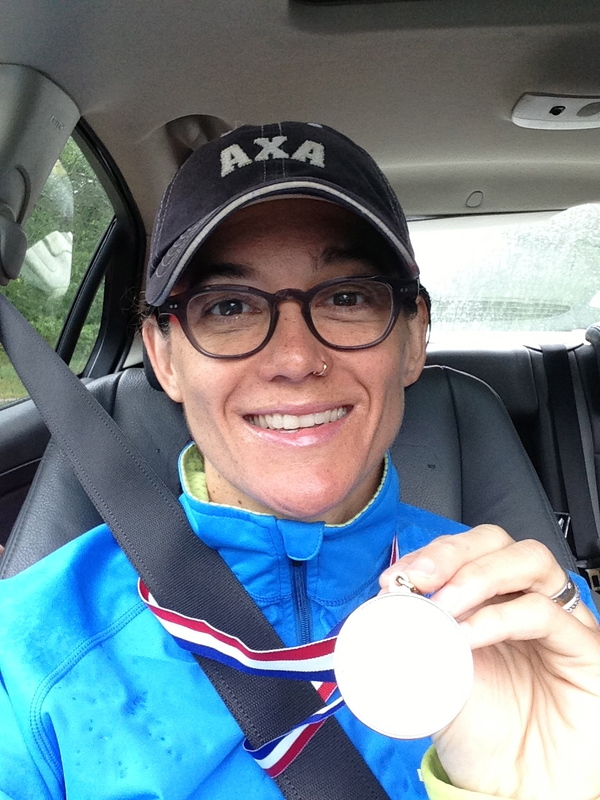 3rd place woman, 40-44 age group, in a time of 1:26:19. 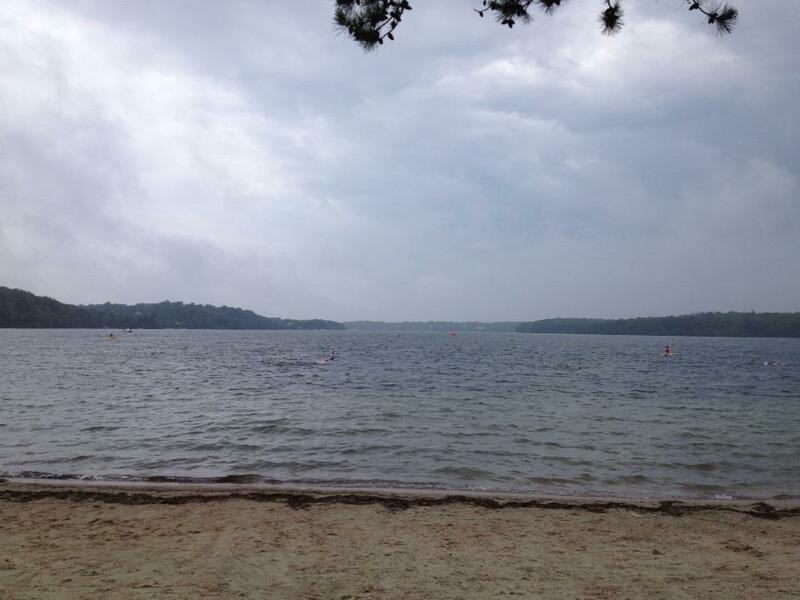 Thanks for another great race, Mashpee! See you next year! « Too cold in the Hudson? Head to Vermont where it’s colder!